The Raspberry Pi finds itself in an ever-expanding gamut of project types…wearables, drones, internet of things and other embedded gizmos…and there are times when an extra-slim version of this already diminutive wonderputer would be just the thing. 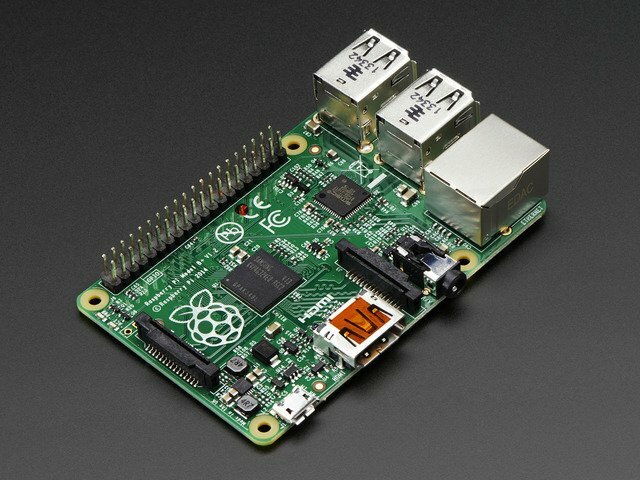 Here we’ll show how to trim some fat from the Raspberry Pi Model B+. 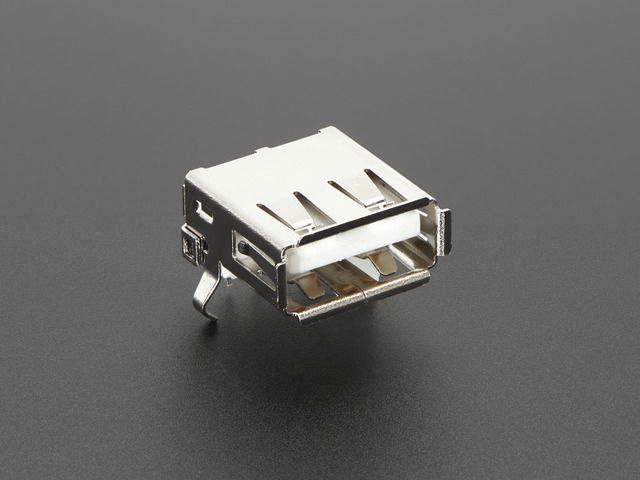 You’ll lose the Ethernet port and at least two of the USB ports, so this is really suited only to projects where size or weight take priority over connectivity. Seriously. Don’t attempt this on your precious one and only board. Always mount a scratch monkey. In addition to a good soldering iron, you’ll need a solder sucker and some solder wick for cleanup. Flux (either the brush-on or the pen kind) makes wicking easier, but isn’t absolutely essential for success. 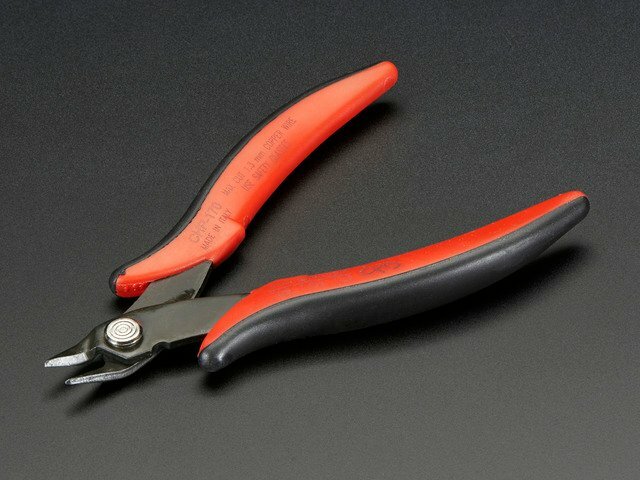 Other tools include flush diagonal cutters, pliers and safety glasses. 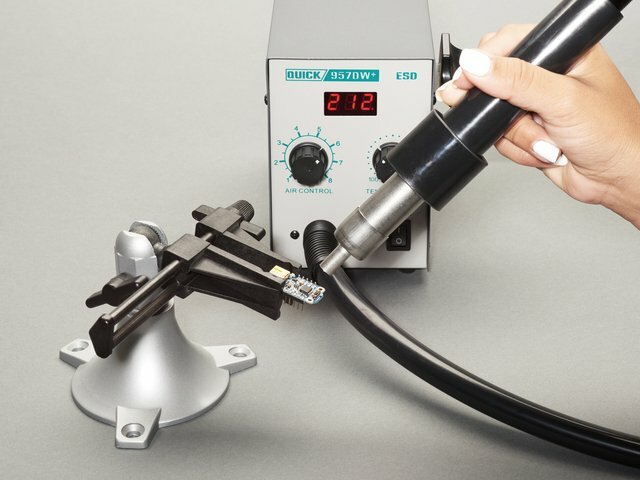 If you have access to a vacuum desoldering tool or a hot air solder rework tool, that might be helpful, but isn’t a necessity…those are big-ticket tools. You will also need one or two replacement single USB Type A jacks, depending how many ports you want. 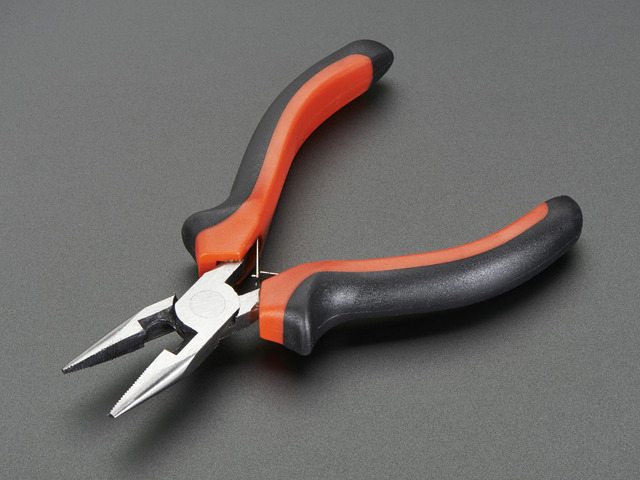 Small pliers and/or tweezers and a Panavise or a “helping hands” tool may also prove useful. Anti-static mat too, if you have one. Before taking an iron to your Raspberry Pi, download and install an OS image on a microSD card and confirm that the system boots successfully. If it refuses to run in this state, we can troubleshoot and replace the board if needed. This is your last chance…once modified, there’s no telling if a failure was from the factory or a result of your board work. Physically altering the Raspberry Pi is a warranty-voiding operation. We cannot replace or refund modified boards. Test it first! Dismantling the Raspberry Pi is extra challenging, even if you have prior desoldering experience. Lead-free solder requires higher temperatures, and this board’s substantial ground plane draws away a lot of heat. But apply too much heat and you’ll rip up traces or delaminate the board! Lead-free desoldering is already tough, but a few points on the board are particularly challenging. They’re connected to the ground plane, which becomes a big heat sink. Be extra careful melting these…linger too long and the whole board gets uncomfortably hot! The conversion process is made a little easier by just not trying to salvage the parts being removed! Don’t hesitate to clip leads, or completely dismantle the metal port housings. Anything to better access the area you’re trying to desolder. Let it go. There is no One Right Way™ to do this. The process should be adapted to your own particular skills and tools on hand. Even with a wealth of tools, it’s still pretty time-consuming and may take a couple hours. WEAR SAFETY GLASSES when clipping parts. Lots of sharp tiny bits are about to go flying everywhere! Dismantling the metal housings around the Ethernet and USB ports can help reduce the overall thermal mass when desoldering, and makes some pins easier to access. But they’re destoyed in the process and can’t be salvaged. If you go this route, watch out for capacitors C97, C99 and C100 when prying the backs off the USB ports. Don’t shear them off the board! A vise is essential. 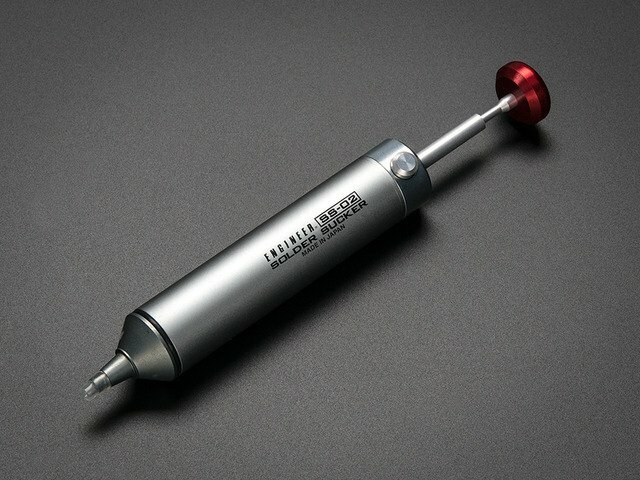 This leaves both hands free…one for holding a soldering iron, the other for prying and desoldering tools. Also, the board’s ground plane can get quite hot and shouldn’t be handled. Removing parts often requires a rocking motion; heating one end while prying from the other, alternating sides. Cutting pins flush with the surface of the board reduces the amount of rocking needed…they’ll clear the vias sooner. Though I have a solder reflow tool that should, in theory, be able to heat all the pins for extracting the part…in practice I was having no luck, and went back to my trusty soldering iron, heating, prying and rocking. Use whatever you have and works well for you. That thing about lead-free being hard to desolder? It was most troublesome with the Ethernet port LEDs, where the plastic housing would soften and deform before the solder would even melt. Fine then, let it deform, pry it up just enough to snip the legs of the LEDs. The remaining pins were desoldered with the heat-pry-rock technique. Eventually — boop! Freedom! Don’t worry about the remnants left on the board…we’ll clean that up later. The USB ports similarly required a lot of grappling. Rather than trying to desolder the pins and pry the housing off the board, the housing was dismantled and the pins were clipped from the component side, and the schrapnel will be cleaned up later. The sad remains of the ports are then cleared. As each pin is heated from the underside, it’s plucked out with tweezers from the component side. After all the pins are removed, most vias are still plugged with solder. Use the soldering iron and a vacuum desoldering tool to clear these out. A few holes will put up a struggle…mostly the ground pins. Sometimes it’s helpful to add solder (preferably the leaded type) to a hole and heat it all the way through before using the vacuum tool. The holes are clear, but there’s still a lot of solder debris on the board…this can bridge vias and cause mayhem, even if you’re not using the corresponding ports. 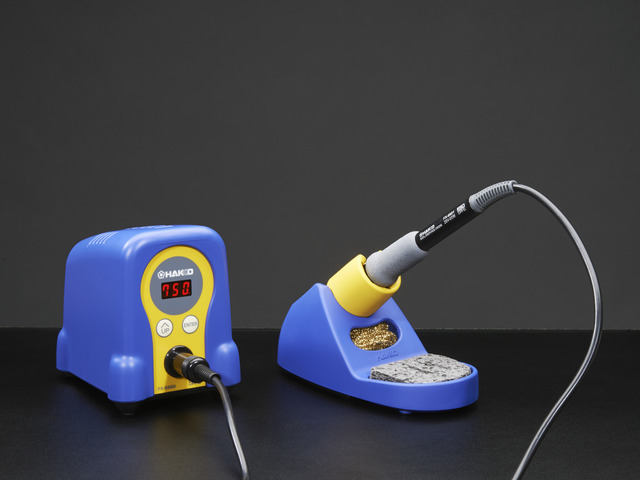 Solder wick is heated under the tip of the soldering iron and rubbed across the areas to clean…this soaks up solder like a paper towel! Do this on both sides of the board. Applying liquid soldering flux first (either the brush-on or pen applicator type) makes this process a little smoother and cleaner. You may need to revisit some holes with the solder-sucker. Before proceeding, you can optionally let the board cool off, insert a microSD card and test whether it still boots. Without USB ports you won’t be able to connect a keyboard and shut down cleanly, so don’t do this with a card containing irreplaceable data. If the system won’t boot…or if it does boot, but the red power LED is flashing, disconnect power and look over your desoldering work for any bridged connections, or conductive detritus that may have been scattered on other parts of the board. You can install one or two replacement USB ports, depending on your needs. Unlike the old stacked ports, these are single-height, so two is the maximum. These should pop right into the old spots. Use the outer row of holes, closer to the board edge. The other row will remain unpopulated. Flip the board over and solder the four pins and two metal housing support tabs. Once the solder’s cooled, you can trim these close to the board so it sits flat. Once it’s fully cooled, try attaching a monitor and booting the system from a microSD card. If the transplant was a success, you should be able to connect a USB keyboard and log in. The red “PWR” LED should be on steady. If it’s flashing, there’s an electrical short or a damaged component somewhere. This guide was first published on Oct 31, 2014. It was last updated on Oct 31, 2014.